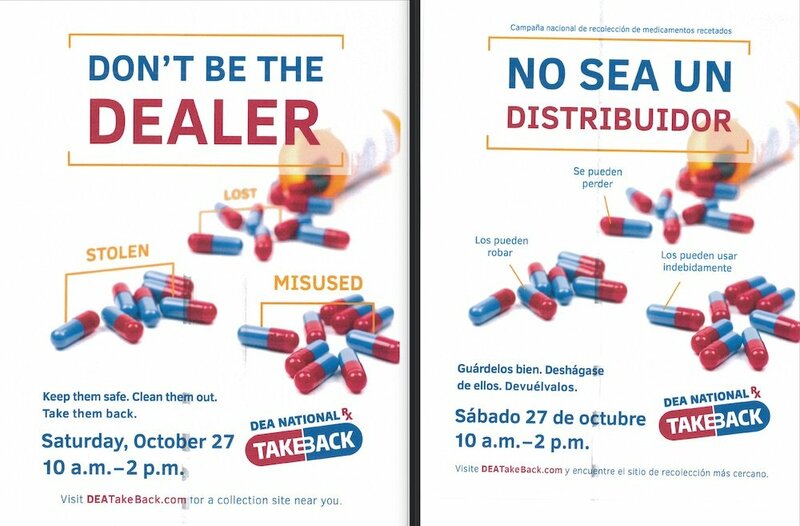 On Saturday October 27th, 2018, the Hoboken Police Department will be participating in the D.E.A. Operation Take Back. The drop off sites will be a place where residents will be able to turn in unused or expired medication for safe disposal. The Hoboken Police Department will have drop off stations throughout the city, focusing on senior citizen residences. The idea is to make the program more accessible to those whom might otherwise have difficulty responding to one or two fixed locations. There will be a fixed location at Police Headquarters during the entire time. I received the email of the Medicine drop off places. My question is can we remove the labels? or just the name os the patient?